If you’ve been around my blog for any length of time, you have probably noticed that I love to simplify everything. One of the biggest areas of my life that I have simplified is the “stuff” in my home and the most major move we ever did to simplify was to actually downsize our home. I’ve written about how to declutter your home for a while. 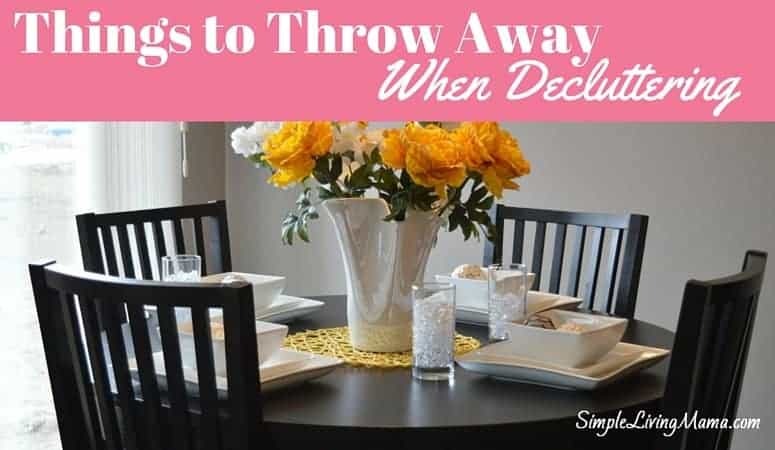 I have found, especially as a homeschooling mother, that decluttering is not something that can be done just at once. It has to be done in chunks, and you have to be willing to continually remove things that come into your home that you don’t need. If you want to know how to declutter your whole house, check out my five tips. Sometimes I need to focus on decluttering and I know that I only have 20 minutes. 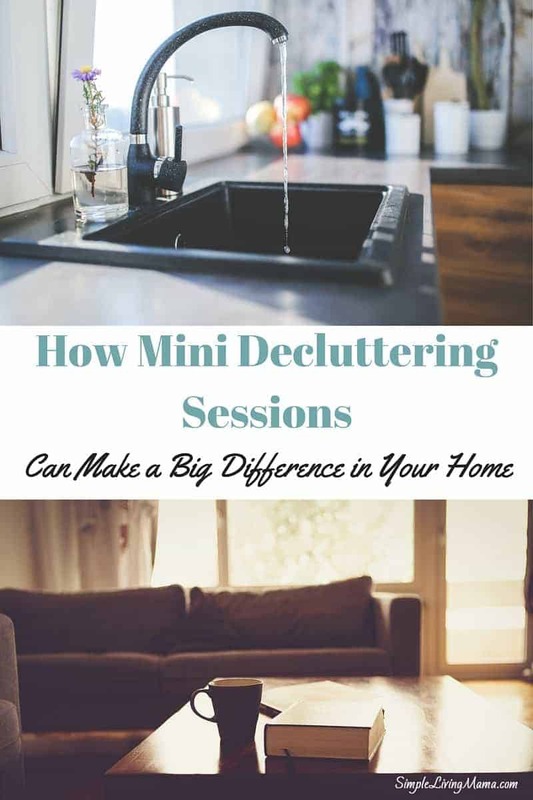 In that case, I will choose one small area that I can quickly handle and do a mini decluttering session. For example, yesterday I noticed that the “junk” drawer in my kitchen was overflowing. I didn’t even know what was in it. The baby was napping and I figured I could use her naptime to clear out that drawer and reorganize it. I threw away all the things that were either trash or pointless to keep and then I reorganized what was left. I accomplished a lot on that one space in half an hour and I felt good because I did it! 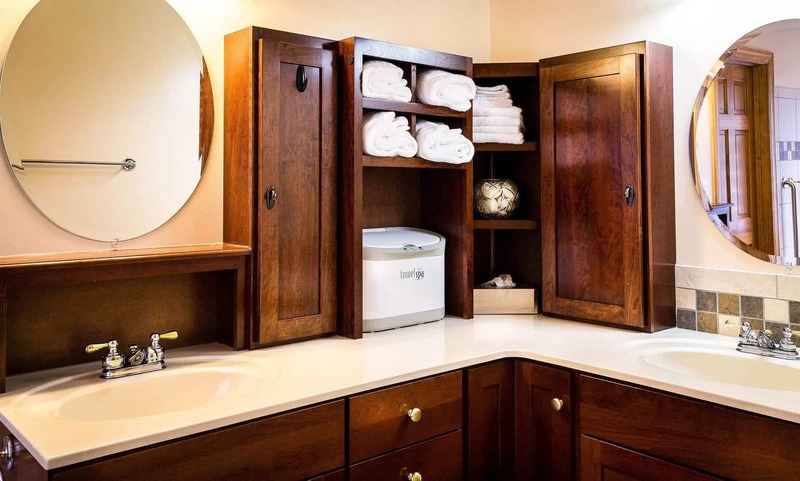 Don’t declutter one kitchen cabinet, one bathroom cabinet, and half of your closet. You’ll lose steam fast. Let’s take my example above. Say you spend 20 minutes decluttering your junk drawer. In the next chunk of time you have, why not tackle one of your kitchen cabinets? I often have to go through my storage bowl cabinet. I will toss bowls that are old and yucky, or I will rehome or toss bowls that don’t have lids. Every time you need to declutter, keep going back to that one room you are working on and declutter something else until the whole room is done. Whew. It can be a lot of work, but having one whole room done is so rewarding! I think it is imperative to make sure that while you are decluttering that you really focus. Pull everything out of that cabinet and take a good, long look at it all. When you are done, immediately throw away the toss pile. Take the donate pile and put it in the car. The next time you’re out, the stuff is there for you to drop off at the donation center. So, what would this look like for one room? Let me give you an example. Over the past two weeks I have been working on decluttering my boys’ room. It was a disaster. It had literally been almost a year since I did any decluttering in that space. If I had an entire day to declutter, I probably wouldn’t have finished there was just so much. The first thing I did was go through all of the toys. I got pretty ruthless with decluttering the toys. Anything broken, missing pieces, or anything that had not been played with in a few months was gone. The majority of the toys sadly went into the toss pile. Before I started on the clothing in my boys’ room, I organized the toys they were going to keep. Some larger toys went into the toy box. The train pieces went into a bin under the train table, and I put a shelving unit in the closet with four bins. Inside those bins I separated smaller toys: Thomas the Train parts, small figurines, Nerf guns, and play tools. Once all of the toys were organized, I started the same process all over again with the clothes. We got rid of a lot of clothes. Off season clothes, or clothes that would be passed down to a younger brother was then sorted and stored in a box and then stored in my hallway closet according to size. This same process can be repeated in any room. Declutter and organize one area/category, and then move on to the next until the entire room is finished. Keep only what you absolutely love. There’s no point in hanging on to items just because. Seriously, keep only what you love! 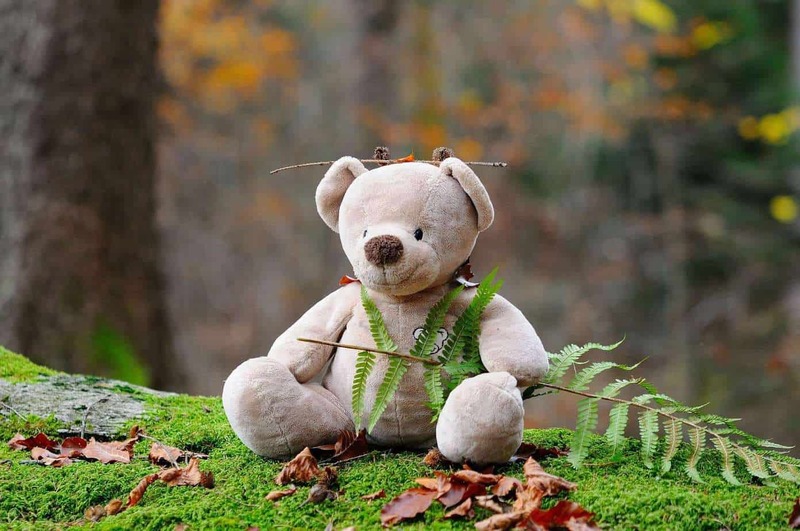 I think it’s okay to keep your favorite teddy bear from your childhood, just don’t keep them all, okay? I think this tip is really hard for people. 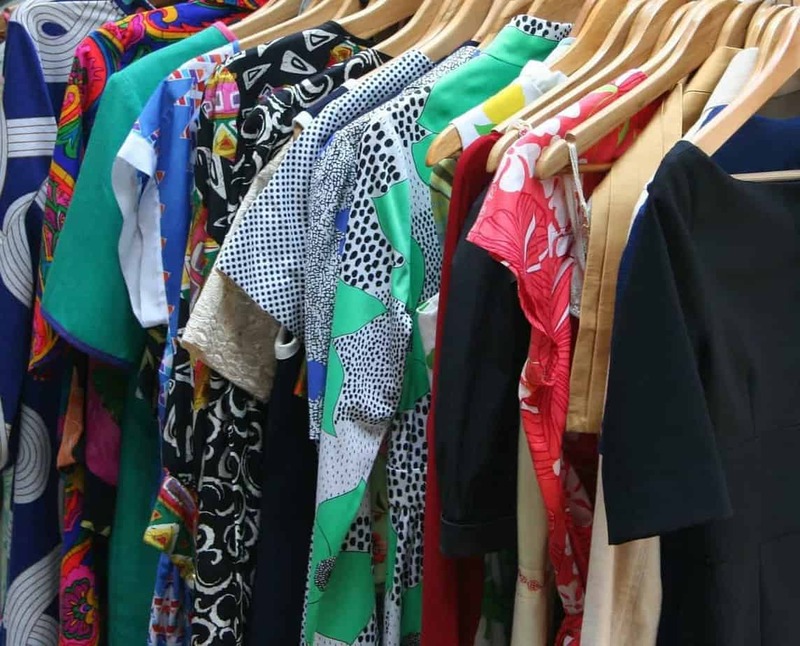 It can be hard to let go of the sweater your mom gave you, or for me, it’s hard to let go of kids’ clothes.If things aren’t serving a valid purpose in your home, they need to go! Remember me talking about going through my kids’ toys? We really evaluated what they wanted to keep. Those were the things they truly loved and wanted to play with. Everything else had to find a new home. The same has been true with me. Decor that had been given to me when I first got married was hard to let go. I had things that I felt that I should keep because it was given to me, but truthfully it did not fit my style. Most of it was taking up space in my storage closets. I finally decided enough was enough and I needed to let go of things I was never going to use. There may be some items you don’t necessarily love, but that you need to keep. For example, cleaning supplies. In that case I suggest keeping only one of each item. You don’t need five different window cleaners. Keep one and get rid of the others that you don’t use. Pare down cleaning rags and other miscellaneous items. Keep it simple! Once you’ve gotten rid of the things that are weighing you and your space down, make that space beautiful. Buy a piece of artwork that you absolutely love, add comfy pillows, accessorize the way you want. Buy some furniture that is functional and will help you stay organized if you need to! I love cube storage like this! I had so much fun putting together my daughter’s bedroom. I used a mix of gorgeous furniture that was given to us and added some fun, new touches that she just loved. Another great space I enjoyed organizing and then making pretty was my little laundry closet. I got that sucker totally cleared out and organized with bins, then I added a fun DIY WASH sign and just made the space nice. Every time I open my laundry closet, I feel happy! You don’t even have to spend a lot of money. 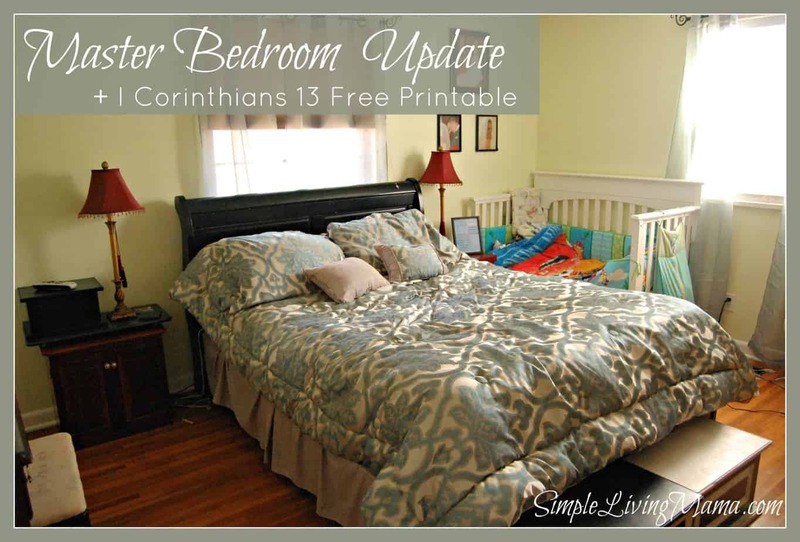 I love using free and cheap printable decor to pretty up my space. Here’s how I did that in my master bedroom in our last house. I need to do an updated look at our new bedroom. So, your space is cleaned up, the excess stuff is gone, you’ve made it pretty, now what? You need to maintain that space. I know you probably didn’t want to hear that, but decluttering is a process. Especially in my house. There are seven people living here, so there is always stuff coming in to our home. The good thing is, once you have totally decluttered your house, keeping it maintained won’t be as hard as the initial declutter. 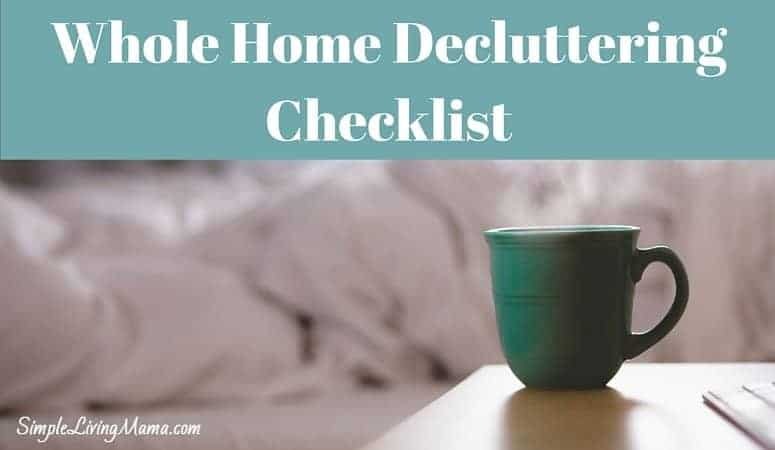 Just do those 20 minute decluttering sessions every few weeks or so, and you can keep your home maintained. When more stuff comes in, take out the stuff you no longer use or love. Remember the reasons why you wanted to simplify and declutter to begin with. Don’t let it pile up again! Another way to maintain your space is to create a housekeeping routine. I now do a morning and evening routine that keeps my home clean and fairly decluttered. 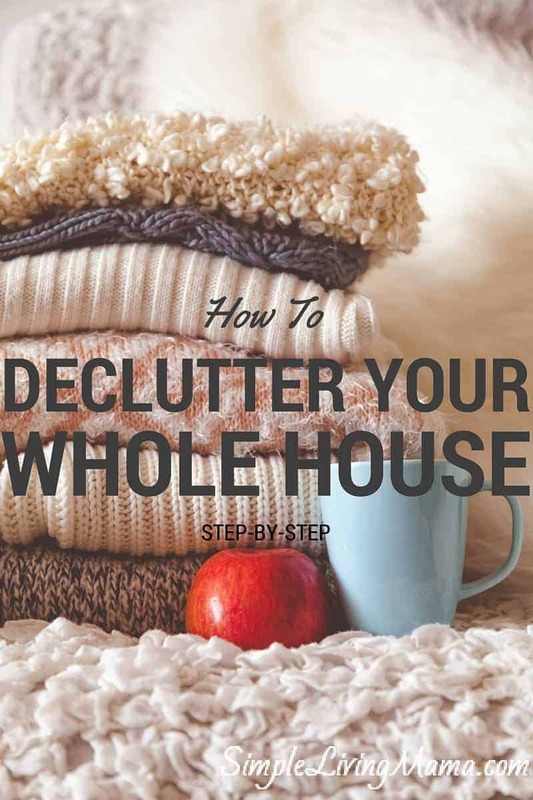 Do you want a more detailed, step-by-step guide to decluttering and simplifying your home? I highly recommend Your Simple Home Handbook. 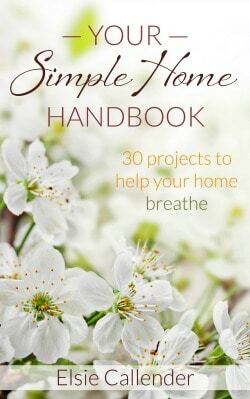 Elsie takes you through 30 different projects to clear the clutter from your home. She’s thought of nearly every space you could have in your home and she gives you detailed instructions for cleaning it up, clearing it out, and making it pretty. Are you in declutter mode? What’s your biggest struggle? Great tips! I’ve been slowly getting through my home again. It seems like no matter how many bags I get rid of, there are always more lurking. Thanks for sharing at our Simple Homestead Hop! This will be featured as our most visited post from last weeks hop! I’m in the process right now of decluttering my home. Section by section, drawer by drawer. Everytime I drop off things to my thrift store, I feel a sense of relief. Where are your ‘good morning gorgeous’ ‘good morning handsome’ pillows from? They are beautiful! My decluttering tip is to buy a buy a large notebook and divide your page into two columns – “Essential” and “Non-Essential Items”. Then go around the room and put every single item in one column or another. When you have finished your “hit-list”, move the offending items (from the non-essential section) to a designated collection point to get your room “clutter-free”!!! 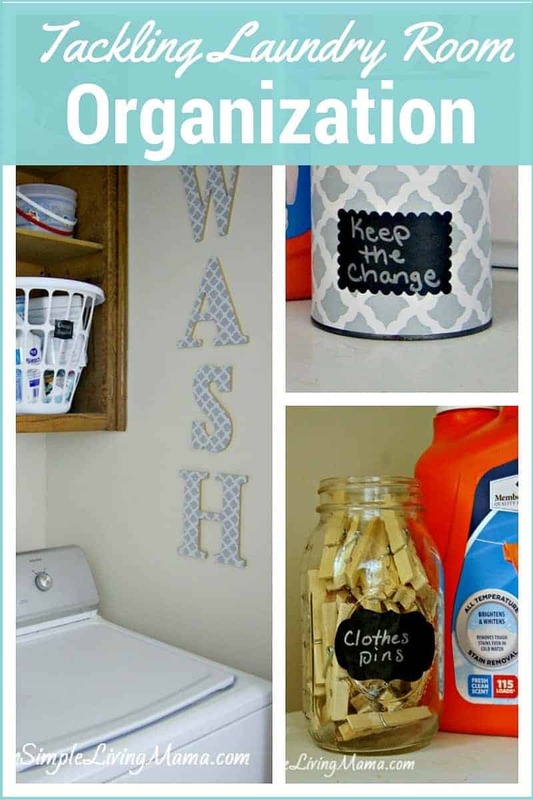 Matt recently posted…Declutter your crib with these surprisngly easy home organizing ideas!!! Thank you very much for sharing this nice post, about declutter. Gwyneth Mcmahon recently posted…Thinking about Moving to Queens, New York?